dance.net - Happy St Patrick's day from my little leprechaun! (10086774) - Read article: Ballet, Jazz, Modern, Hip Hop, Tap, Irish, Disco, Twirling, Cheer: Photos, Chat, Games, Jobs, Events! I hope that your weekends are going well, and that you've celebrated fully. 5 Replies to Happy St Patrick's day from my little leprechaun! 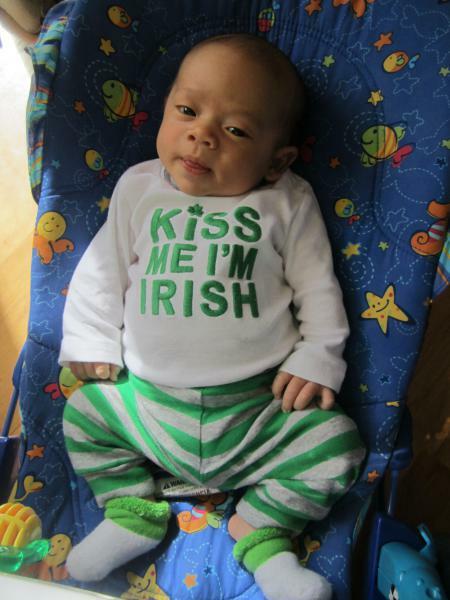 re: Happy St Patrick's day from my little leprechaun! Again! I love the way he says, "Again!" He has a longer attention span than some of my students. Happy St Paddies day to you and yours! Totally, completely adorable! Such a sweet, little Darling. I'm a little late to see this but sooo cute! And you look fantastic!